Originally built by Kraus-Anderson in the 1920s, this historical renovation offers vintage charm and contemporary-style luxury housing to the Loring Park neighborhood. The four-story, award-winning building was once home to Prince’s recording studio and features a tribute exploring the building’s connection to the legendary musician. The Hennepin Theatre Trust runs the historic State, Orpheum and Pantages theatres, the three extraordinary remnants from when Hennepin Avenue was known as “Theatre Row.” In this historic event center and hub of the Trust, you can explore renovated lounges, restored architectural elements and the gallery showcasing works by local artists. Originally built by General Mills as research labs, today this 6.5-acre property is home to over 125 artists, makers and entrepreneurs. Visitors will have the chance to tour the property and meet some of the tenants during open studio hours. Built in 1881, the Pillsbury Flour Mill was designed to be both visually appealing and technologically advanced. This historically significant landmark has been newly renovated into affordable artist housing as the A-Mill Artist Lofts and features many works from local artists. Built in 1991, this 600,000-square foot, 33-story tower is constructed of structural steel with a facade of vision and spandrel glass, and is sustainable with BOMA 360, EnergyStar and LEED Gold certification. The distinctive outward canted windows at its apex make it a defining landmark of the Minneapolis skyline. Did you know the Bakken Museum, built in 1928, has nearly three acres of gardens, grounds and wetland? Experience the Gothic-Tudor architecture of this West Winds Mansion, learn more about the museum’s mission and participate in a garden tour, on the hour, featuring yellow Lady’s Slippers in their prime. 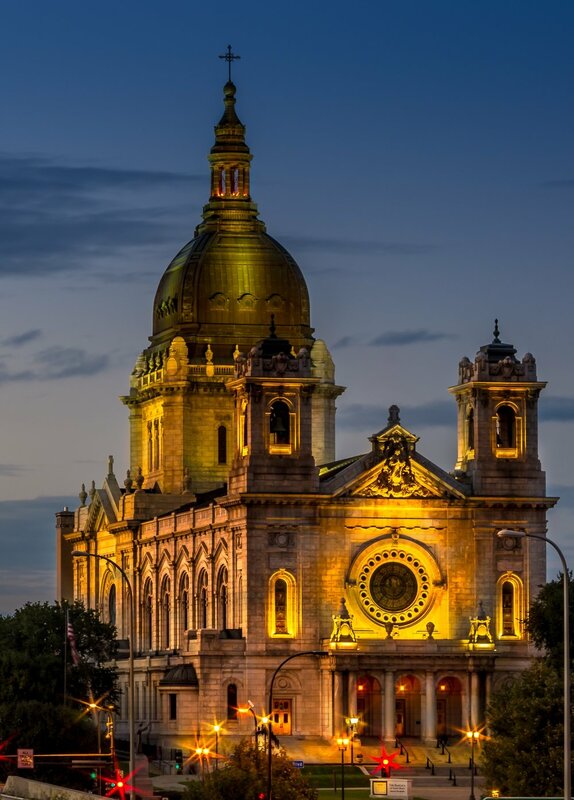 America’s first Basilica, constructed in 1907, features stunning beaux-arts architecture, a marble high altar, shrines, chapels and sacred art throughout the church, art gallery and gathering hall. The Basilica is a welcoming Catholic community committed to the well-being of the city and the spiritual home to 6,500 families. 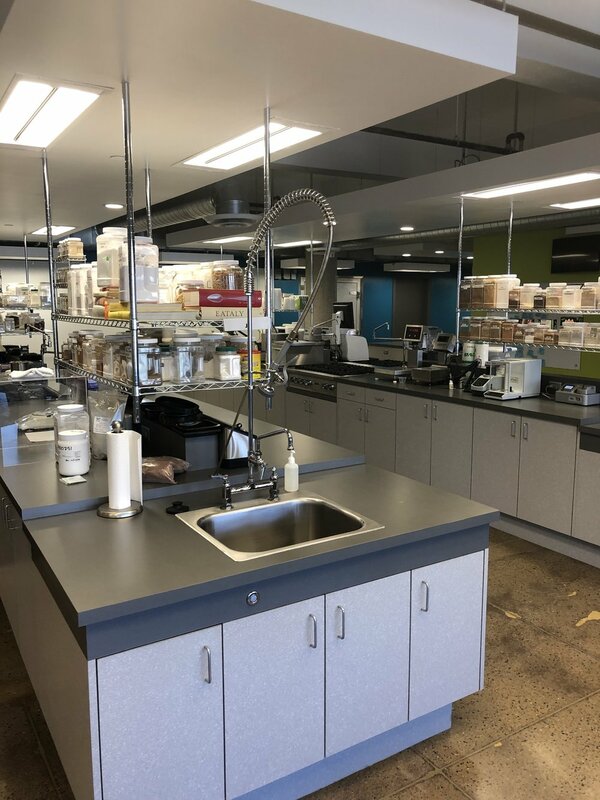 Find out what happens between the farm and the grocery store by stepping into this state-of-the-art food laboratory in the heart of downtown. Bellisio Foods innovates, creates and prepares branded food for the frozen food market. Their brands—Michelina’s, Boston Market, Authentic Asia, Eating Well and Atkins—are sold throughout North America. The “Crown Jewel” of the Warehouse District, historic Butler Square is a nine-story, brick warehouse dating from 1906. Its 1974 renovation played a significant role in the revitalization of the area. Come take a self-guided tour and encounter historical facts, building information and interesting tidbits about its unique structure and art. Come visit the original Calhoun Beach Club, constructed in 1928. You can see the Athletic Club and a remodeled apartment home, which showcases a balance between contemporary renovation and historic preservation. Historical photos capturing the iconic Minneapolis Lakes history will be available for viewing throughout. Tour this newly opened hotel! This historic property honors the city’s architectural past and features a stunning 183-room lifestyle hotel in a vibrant part of downtown. Learn about the detailed restoration of this turn-of-the-century manufacturing property designed as a natural extension of the East End neighborhood. This center was built in 2002 using techniques that minimized its environmental impact, including low-flow plumbing fixtures, passive solar energy and items made from renewable and recycled resources. Meet one of their live-education animals, view an exhibit on the building and local history or take a guided park tour. For over 50 years, Children’s Theatre Company (CTC) has created extraordinary theater experiences that educate, challenge and inspire young people and their communities. Get a peek behind the scenes at CTC to see where the onstage magic is made. Explore all four levels of this historic building along the river, including the gathering spaces, Danish history exhibits, dining areas, guest rooms and classrooms. Danish American Center member hosts will be on hand to guide you and answer questions about the history of the building and the Danish community in Minnesota. Experience the hands-on, high-tech learning environment that produces today’s top technicians, engineers and leaders in the fields of engineering, robotics, electronics, manufacturing, 3D printing, IT, construction, architecture and design. Explore the labs, shops and studios housing the latest technologies at the only private, nonprofit technical college in the region. welcoming and comfortable environment. Founded in 1962, Estes was the only Black-owned funeral home in Minneapolis. Tour and see state-of-the-art features, new technology including live-streaming services and the community meeting space that make this funeral chapel unique. Part of Minneapolis Public Schools, The FAIR School is rooted in arts, equity, innovation and creativity. Providing rich arts programming, cultural understanding, global citizenship and a robust network of partnerships, FAIR personalizes learning for all 9-12 students. Designed by Cuningham Group, innovative learning spaces intersperse with traditional classrooms. 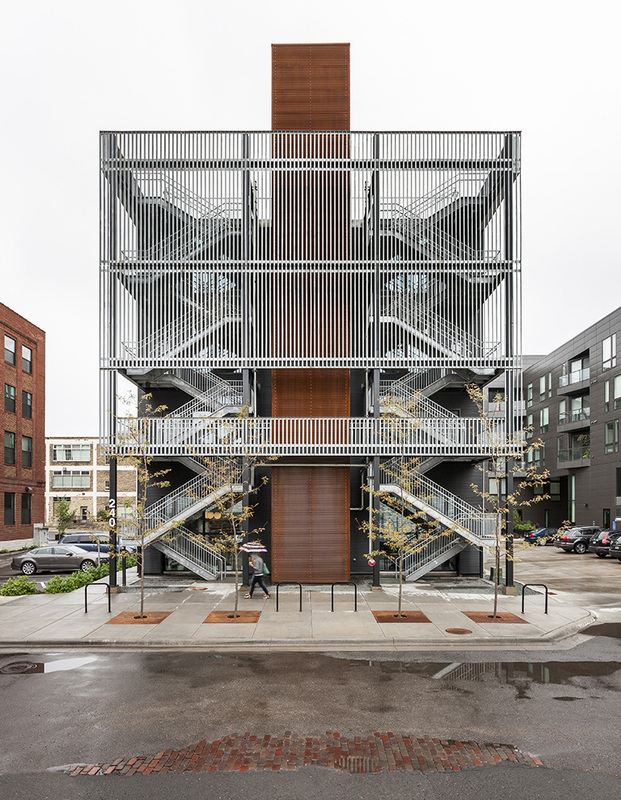 Fast Horse’s building is a prime example of architecturally significant, modern design in the North Loop. Experience award-winning design from Minnesota architect David Salmela and tour the North Loop offices of a Minneapolis creative agency. As a renovated older structure, the Fast Horse building features a stunning facade and innovative design. Experience the “priceless” opportunity to learn about the Minneapolis Fed’s role as part of the nation’s central bank. Understand how it helps promote a strong economy. See how US currency is stored and processed. Get a free sample of shredded money! Visitors must pass through security. Photography restricted in some areas. Free parking provided for Doors Open Minneapolis visitors. The parking lot entrance is on 2nd Ave. and Azine Alley. Enjoy this Art Deco space dating back to 1914. Originally the Forum Cafeteria, designed to serve 1,000 people an hour, Fhima’s is now an award-winning restaurant featuring a modern take on French-Mediterranean cuisine. Each mirror, chandelier and elaborate tile in this historic space tells a story of Minnesota’s history. Finnegan’s House is a state-of-the-art destination to inspire, nourish and scale inclusive impact enterprises, housing Finnegan’s Taproom, the Brewer’s Den and Impact Hub/FINNOVATION Lab. Grab a beer or kombucha, check out the interior courtyard, tour the brand-new building and learn about local, social impact entrepreneurs working to change the world!! 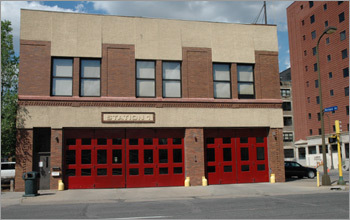 Built in 1909, Fire Station One is one of the oldest fire stations in the city. Get a tour from a firefighter and learn about where they live and work, and see fire engines, firefighting equipment and a fire pole. Posters of the new Station One will also be displayed. Learn more about the history of the Minnesota Fire Service! Many of the artifacts, dating to the 1860s, are from the Minneapolis Fire Department and represent the fire service as a whole. The museum’s youngest visitors can slide down a real firepole and drive a till truck. Originally a horse veterinary clinic dating back to 1900, FOOD BUILDING is now home to artisan producers Red Table Meat Co., Baker’s Field Flour & Bread and Alemar Cheese. Stop in for a behind-the-scenes look at this urban food production facility. Now a center for design and advertising and GoRadio broadcast center, the Ford Center is a renovated vertical assembly factory that previously built Ford Model T trucks. Come see the on-air studios for the radio station in action and a renovated former Model T showroom. Take a self-guided walking tour of the cemetery and discover unique, historical grave sites of local men and women who shaped regional and national history going as far back as the Civil War. 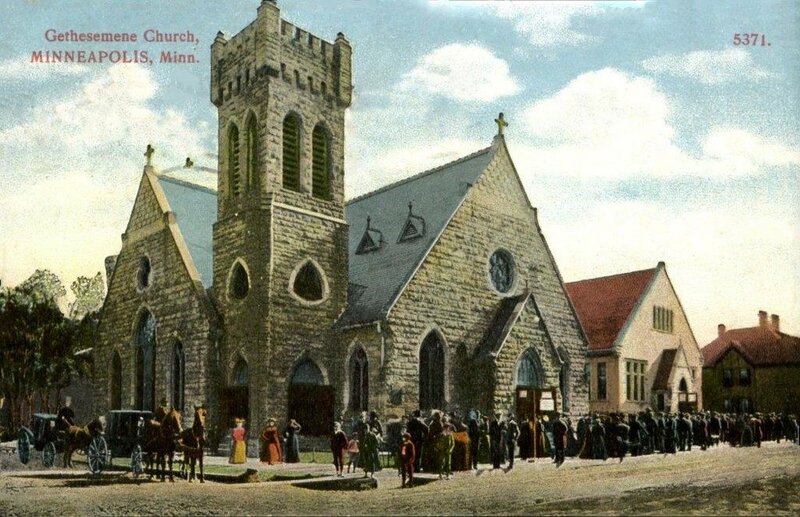 Visit the first Episcopal church on this side of the river! Learn more about the beautiful art and architecture, including the building itself, the stained-glass windows (some of which are Tiffany), the bells and the historic Ruffatti organ. The church has been continuously running since the 1850s. Built in 1902, Gluek’s is the oldest running bar in downtown. Learn the story of the building and the brewery through beautiful stained glass, original photos dating back to the early 1900s and Gluek collectibles from beer cans to vintage signs. They offer an extensive menu, live music and more! 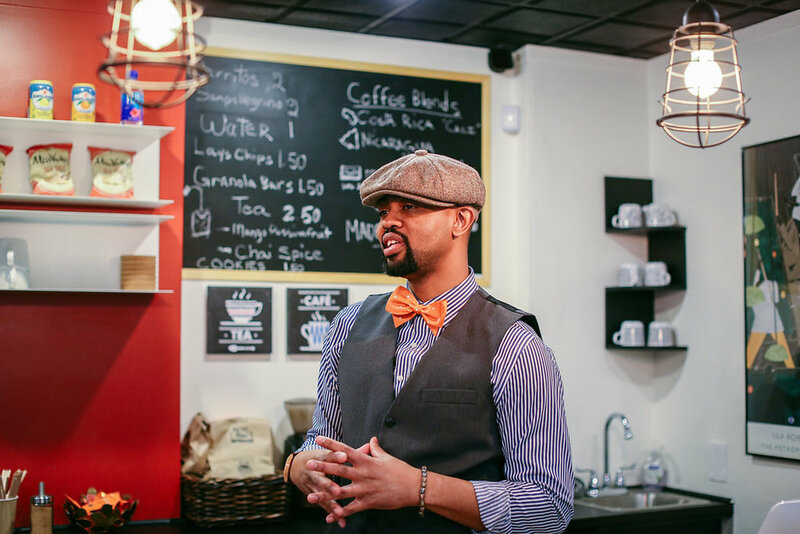 Visit to experience black barbershop traditions in a unique setting and learn about HWMR’s story and plans for the neighborhood. Taste their North Minneapolis/HWMR Dogwood Coffee Co. “mixtape” coffee blend and check out the boutique. Their goal is to immerse everyone who enters their doors into authentic urban culture! Experience how this community uses its historic, 100+-year-old building—the one with the really tall spire—to achieve its mission. Visit the Art Gallery and view T.B. Walker’s religious art collection, learn the story of racial integration behind the Border Chapel and stare up through the Sanctuary’s oculus. View the splendor of the building’s 22-story atrium, its historic fountains and underground oculus. Find out about the world-class architect who designed the building, and the features that make it unique. Learn about the important historical events that occurred there. For access to the towers, visitors must pass through security. Tour the Hennepin County Public Safety Facility, also known as the Hennepin County Jail. Opened in 2001, this facility is one of two pre-trial detention facilities in downtown Minneapolis. Due to the secure nature of the facility, tours will be limited to 15 people per hour. Visitors must be pre-registered for a tour, at least 18 years of age and pass through security. Cameras, cell phones and weapons are not allowed. This facility converts Minneapolis’ trash into energy, which provides electricity to 25,000 homes and heat to Target Field and downtown buildings. Learn how HERC works, see the waste pit and trash trucks on a live video feed and discover strategies to reduce waste. Access via Target Field Station Plaza. The visitor entrance door is inside the Target Field Station Parking Ramp. Experience a state-of-the-art medical facility and its stunning artwork. More than 600 art pieces featuring local and regional artists are incorporated into this healing environment, all anchored by a four-story glass sculpture. Activities include an art treasure hunt, creation stations, self-tours and scheduled demonstrations with local artists. Free parking provided for Doors Open Minneapolis visitors. 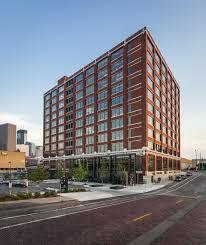 The Clinic & Specialty Center parking garage entrance is on Park Ave. between 8th and 9th Streets. Explore three galleries reflecting county history—Inventions & Innovations with Hennepin roots, Aquatennial History and Southside African American History—archives, maps and more. Learn about the building, the Christian Family residence (ca. 1919), one of the remaining mansions in the Miller District around Washburn Fair Oaks, and others in the area. Tour this historic building completed in 1908. The Hennepin Island Hydroelectric Plant is owned and operated by Northern States Power Company–Minnesota, an Xcel Energy Corporation. Limited-capacity guided tours will be offered at 10 am, noon, 2 pm and 4 pm, plus staff on site to answer questions all day. Visit this 30,000 square-foot former window manufacturing warehouse, now home to Hennepin Made, a blown glass lighting company, and Parallel, a cafe and event space. View their open concept event space with its impressive Hennepin Made light installation. Full guided tours will also be available for advanced sign-up at parallelmn.com. The Hewing Hotel, built in 1897, is a prime example of a brick-and-timber warehouse—trains used to roll directly into the basement! Today, visit to experience the hotel’s year-round rooftop, the Library Lounge and its restaurant Tullibee, with cuisine inspired by Minnesota’s woods and lakes. Built in 1891, the Historic Wesley Center is an incredible piece of the downtown Minneapolis legacy located in the heart of Loring Park. Take a tour and be awed by this Romanesque-style building featuring meticulous craftsmanship, breathtaking stained glass and painstaking preservation, and learn more about Substance Church’s history. Tours may be limited during Sunday morning services. In this historic 1920s building, meet and see the studios of eight practicing North Minneapolis artists working in painting, photography, gourd carving, sculpture and 3D work, drawing and letterpress printing. In the gallery, new work by local graffiti artist Peyton Russell will be on display. Studio garden tours will also be available. With a design influenced by local, natural elements, this hotel gives the feel of an airplane with sweeping roof lines, a winged porte cochere, and other architectural features. Come tour this unique place of hospitality and see its original artwork from SooVAC, K-Contemporary Studios, and Shelly Mossman. This unassuming two-story tan brick building reflects a major shift in immigration in Cedar-Riverside, from Scandinavians and Europeans to East Africans. In 1998, Somalis opened their first mosque in Minnesota here. The current name reflects a unique commitment to provide civic education along with religious guidance to Somali worshippers. Experience the historic Ivy Tower in its modern glory. Take a tour from top to bottom, including a visit to the distinctive Penthouse, a 1930s-inspired reception amongst the original columns of the Grand Studio and a peek at the Whiskey Chapel in the subterranean cocktail lounge, Constantine. Learn about Izzy’s story, where ingredients come from, and how ice cream is made in a behind-the-scenes tour through Izzy’s Ice Cream kitchen. Featuring an award-winning design by Minnesota native architect David Salmela, this community-gathering space is visually and literally sweet. Samples will be provided! Visit the oldest business in downtown! This premier jeweler since 1885 offers the best in fine jewelry and watches. The store features historic architecture including an impressive staircase and original jewelry cases and light fixtures. See vintage jewelry, amazing window displays and demos with an in-house watchmaker! Coloring books for kids. As one of the first examples of a theater driving economic stability in a neighborhood, the Jungle Theater’s story is deeply rooted in the livelihood of Lyn-Lake. Learn more about this neighborhood theater with national impact, sparking meaningful dialogue with audiences through compelling stories, masterful acting and exquisite design. Tour the historic buildings where the first Caterpillar tractor was fabricated in 1909. Today, the reused buildings facilitate metal recycling at an unparalleled level of efficiency and environmentally sustainable processes. Roof-mounted solar energy panels and close attention to groundwater quality are just two of the many exciting things happening behind the scenes. Step inside the reimagined Kickernick and celebrate the intersection of its hidden past and new, modern identity. From the restored lobby to a fully renovated upper floor, experience the compelling character of this building that has been part of the Minneapolis skyline for over a century. Part of the Grain Belt Brewery complex, this warehouse was built on the site of the former city of St. Anthony. Meet artist Brant Kingman and see where he makes the art that landed him his most recent exhibition at MoMA in NYC. Kids and adults alike should come prepared to color! Learn more about this independent creative agency on Minneapolis’ near North Side. The award-winning space creates a modern, open environment that promotes collaboration. With a common lobby that connects two buildings, KNOCK utilizes the power of design to solve brand challenges for entrepreneurs, nonprofits and large corporations alike. Step into Kramarczuk’s and inhale the delicious smell of smoked meats, fresh baked goods, and stewed sauerkraut. Meet the owner and learn more about the company’s 65-year history in the neighborhood. From the historic building to the proudly displayed, made-on-site food, this venue is also a feast for the eyes. Founded in 1871, Lakewood is a serene haven in the heart of Minneapolis and a treasure of natural beauty, art and history. You’ll discover magnificent funerary monuments and architecture, extraordinary gardens and topiaries and the graves of some of the city’s most famous leaders and influencers. Located in the heart of downtown, LaSalle Plaza is a direct connection to the best in retail, entertainment and transportation. Its distinguished architecture, superior finishes and location provide a striking multi-use building with high-quality office and retail space. Inside, the expansive lobby and retail areas feature trophy finishes and one-of-a-kind artwork. The Love Your Melon Studio exemplifies the creativity of the Twin Cities and is used for events, photoshoots and as a showroom for exclusive product drops. The Revitalize Collection, featuring their first-ever products made entirely from recycled plastic water bottles, will be available for purchase during Doors Open Minneapolis. See where Broadway meets West Broadway! Lundstrum Performing Arts is committed to inspiring young artists through musical theater: dance, voice and drama. Through displays and informal tours, learn more about the history and programs of this performing arts conservatory and its impact on arts education in North Minneapolis and the city. Do you know where the water from your toilets and sink go? The City of Minneapolis will open a sewer manhole and set up a closed-circuit televising truck so you can see the inside of the sewer system and learn all about it! Safety equipment and staff will be on hand. Learn about the center’s on-site care team, including orthopedic surgeons, sports medicine physicians, radiologists, physical therapists and athletic trainers, or delve into the facility’s past from Block E to Mayo Square. Participate in sports-themed activities in the acclaimed performance and rehabilitation area, meet world-renowned medical professionals and schedule a FREE movement assessment. Tour one of Mayo’s first urban locations and a sports medicine hub! Guided tours available on from 11 am–2 pm, every 15–20 minutes. Visit the first floor for the tours or challenge a friend to a speed round of hoops in the lobby! Originally a Sears department store, Midtown Global Market is now home to more than 45 independent restaurants and shops representing 22 cultures. Be immersed in a global experience with a short history presentation and a self-guided tour featuring global cuisines, arts, crafts, cultural music and dance and a family-friendly craft table. Experience the 1926 historic Mikro Kodesh orthodox synagogue that was converted to Disciples Ministry nondenominational church in 1980. The building, adapted for reuse, houses many walk-in coolers and freezers used to distribute perishable food by the truckload to thousands of needy Minnesotans. Meet Pastor Paul who will share his story. Come tour this newly renovated historic building! Originally the headquarters of the Miller Bag company, who produced bags for the local milling and farming industries, the building has now been converted to office and retail space. Millworks is an affordable housing community providing 78 amazing homes to a variety of residents. Tour to see an inspirational example of historic renovation, learn what stories historic buildings can tell, and witness how providing clean, safe, well-maintained homes can make a difference for everyone. Explore a street unlike any other in the Twin Cities! Milwaukee Avenue is a narrow, pedestrian-only street lined with restored historic homes that were mostly built in the 1880s for working-class immigrant families. Founded in 1975, this center is one of the oldest American Indian centers in the country. Check out the Two Rivers Art Gallery, the Gatherings Café offering healthy Indigenous foods, and Dakota and Ojibwe language activities for all ages. Learn more about the Center’s upcoming renovation and expansion plan. The Minneapolis Central Library is the largest library of the Hennepin County Library public library system. Designed by world-renowned architect César Pelli with a focus on sustainable design, it offers an array of programming and is host to a variety of community and cultural events. Take a self-guided tour and dive into the local history and urban legend of the City Hall/Courthouse. Within its Richardsonian Romanesque-style walls, you’ll find a 5-story marble-clad rotunda, 72,000 pieces of stained glass and a 14,000-lb. Father of Waters marble statue. Explore how smartphone apps, virtual reality and other innovations equip students for success on the Technology & Programs Tour. The Sustainability & Art Tour will feature art and landscaping that create aesthetically pleasing and environmentally-friendly spaces. These self-guided tours will also provide a snapshot of planned campus renovations. Once inside the 1.6 million sq. ft. Minneapolis Convention Center (MCC), relationships are formed. Experience how they turn a ballroom into a showroom, bring events to the next level and make an impact on the local community. Take a look inside one of downtown’s first department stores! Built in 1926, the Young-Quinlan building was once the hub of women’s fashion in the city. View displays from the Young-Quinlan department store days plus an example of today’s modern office spaces at the mpls downtown council’s office. Stop by to admire and learn more about this beautiful Neoclassical-style building dating from 1915. Staff will be available to share its varied history as a post office, military processing center, focal point for Vietnam War protests and the time it suffered $500,000 in damages from a bomb! . Visit this 85-year-old historical edifice boasting original bronze teller cages and fixtures, marble terrazzo floor and a 350-foot bronze chandelier running the length of the lobby. A rare behind-the-scenes tour of mail processing will be offered periodically during the event. USPS will also host a job fair both days. Tour the kennel and training grounds, learn about the Canine (K9) Unit’s purpose and mission, and meet some of the unit’s dogs! Officers will provide demonstrations with their K9 partners. 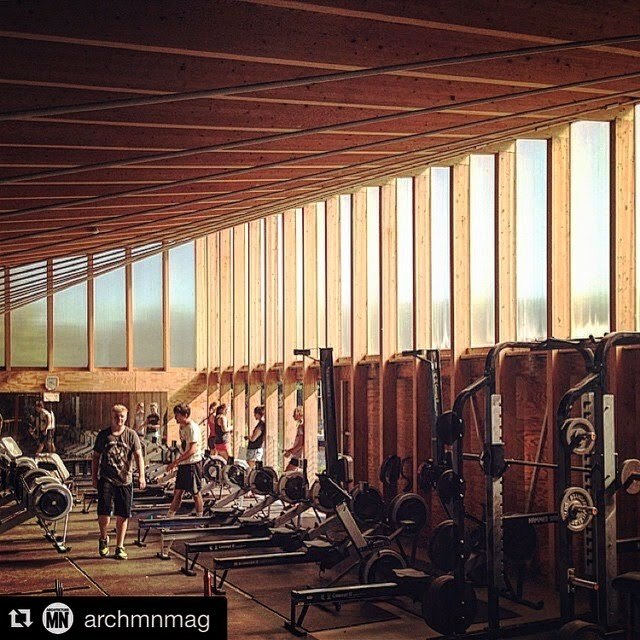 Visit the Minneapolis Rowing Club and tour the architectural award-winning boathouse, discover the club’s history dating back to 1877 and learn about the rowing programs at the club today. Adventurous visitors can experience rowing in the club’s training barge on the scenic Mississippi River. The Minnesota Spokesman-Recorder has been telling the stories of the African-American community for decades. Visit to experience the rich history of this black press and appreciate the great amount of storytelling shared weekly. Tours, a photo display, old papers and paper representatives will be on hand to share their story. Mixed Blood, housed in a historic 1887 firehouse, champions theater work that addresses injustices, inequities and cultural collisions. Tour behind the scenes of this unique building where art comes to life. Tour will include the rehearsal hall, administrative space, dressing room and the theater itself. Explore the brand-new Moxy Minneapolis Uptown, a hotel inspired by Minneapolis’ unique culture. In partnership with the SooVAC, artwork by local artists is on display, including murals and graffiti throughout the hotel. It has all the comforts of your living room with the exciting action of a backstage pass. An expansion of the MoZaic Art Plaza, this 8-story building showcases exemplary modern design complementing its environmental context. Features include enhanced bike racks and amenities, outdoor terraces, and three volumes decreasing toward the Midtown Greenway. Visit to learn more about thoughtful design and the intersection of public art and private property. Tour this historic theater with an engaging presentation about its storied past and exciting future. Built in 1920 by the famed Twin Cities architects Kees and Colburn, today the space is home to Wooddale Church, a church bringing relational connection and community to their Minneapolis neighborhood. Check out this social enterprise and its constantly evolving innovative space, including a collaborative workspace, retail and food artisan market and gathering space for fresh ideas, organic networking and engagement opportunities. Experience participatory live demos, craft cocktails and food, art installations, and shop products by local makers. Nicollet Go Tours open doors to another side of the city. Learn about Nicollet’s iconic buildings, public art, recent redesign and its strange and storied past. Simply download the free IZI travel app from your phone or find the DID info cart on Nicollet for more information. Come inside the Nordic and hang out in the living room of the North Loop. Newly built and designed to fit naturally into the century-old brick character of the historic neighborhood while adding much-needed green space, this mixed-use building is downtown’s newest year-round experience. View the exhibition in the Minnesota Center for the Book Arts (MCBA) Gallery, or stop by the cafe, bookstore or artist gift shop. Limited tours available featuring info on the partnership—MCBA, the Loft Literary Center and Milkweed Editions—that created Open Book, plus historical information on the building. Home of the Grammy Award-winning Minnesota Orchestra, Orchestra Hall is one of Minnesota’s great cultural touchstones. Built in 1974 and renovated in 2014, the Hall is known for modern design and acoustical brilliance. 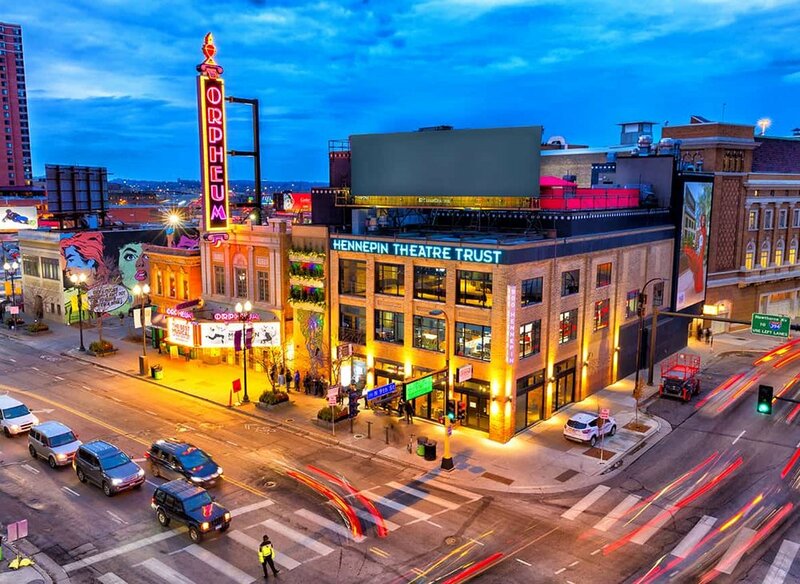 Explore all corners of this exceptional music-making site in the heart of downtown! Visit the lower levels of the National Historic Landmark Pillsbury A Mill and see the largest direct-drive waterpower system in Minneapolis, including views straight down a 50-foot drop shaft through a glass floor. Mill City Museum guides will tell the story of the mill and answer questions. Meet at the gray door on 3rd Ave. SE at Main Street (around the corner from the A-Mill Artist Lofts’ main entrance at 315 Main St. SE). Look for a sidewalk sign for the Pillsbury A Mill Tour. Your guide will meet you just inside the gray door. Visit the city’s oldest existing cemetery! Tour the caretaker’s cottage (built in 1871), go on a smartphone history hunt and chat with volunteers. On Sunday at 1 pm, 2 pm, and 3 pm, see “Hiraeth: Walking the Long Field at Layman’s,” a short three-part play written by award-winning playwright Cynthia Veal Holm. . This art studio with North Minneapolis roots is a place to think, create and play. Explore the open art space in front, artist workspaces in back and art library. Artwork showcase local community artists living in the neighborhood. An art project creating jewelry out of yarn and other materials will be available. Since 1994, Project Success has helped 100,000 students connect to their purpose, and today serves 14,000 students in 19 Minneapolis public schools. Visit the innovative Institute classroom, connect to your purpose through fun, inspirational activities for the whole family and learn about their impact over 25 years. For details: projectsuccess.org. Experience Minneapolis from an incredibly unique vantage point! Take in the spectacular panoramic view from atop the iconic Prospect Park Water Tower in Tower Hill Park. This is an opportunity to get inside the beloved “Witch’s Hat” landmark you see every day and look out across the entire metropolitan area. Tour the lobby and theater of this vibrant performing arts center. Grab some snacks and dive into the rich history of this building from 1926 via historical photos and articles. Located in the heart of Northeast’ Art-A-Whirl, you’ll be able to experience the best of Minneapolis arts culture. Experience the majesty of this historic cathedral and discover their story through the 35 stained glass windows, the sounds of the 5,500-pipe organ, and a scavenger hunt for children 12 and younger. Guided tours available all day Saturday and from 12:30–5:00 pm on Sunday. Meet members and take a tour of this historic building that has been home to the Minneapolis Scottish Rite, one of the largest Masonic Fraternal groups in Minneapolis, since 1915. This impressive Romanesque Revival structure represents the only combined work of two major Minnesota architects, Warren H. Hayes and Harry Wild Jones. Experience the historical evolution of a cinematic treasure and one of the few atmospheric theaters left in Minnesota. A visual timeline display will give visitors a glimpse into the theater’s history beginning in 1927 through its redevelopment today. Light snacks and beverages will be available. See Surly from the inside with a guided, 30-minute tour. Learn about the history, the building, the process, and Surly’s place in the community. Self-guided tours of the building’s public spaces will also be available. Guided tours begin at 10:00 am; Surly’s public spaces open at 11:00 am. Take a guided tour of Target Field with all its sustainable features, artwork and Minnesota Twins history. Rated a Top 10 MLB Stadium Experience by “ESPN the Magazine,” it’s a tour you won’t want to miss! Please arrive at Gate 29 to begin your adventure. More than just a train station, the Target Field Station provides amphitheater seating for local musicians, green space for public to lounge, access to light rail and covered parking to protect cars from the elements. Learn about its sustainable efforts capturing and reusing stormwater throughout the plaza. Take a tour and see the Target Lights up close! This video display on top of the Target headquarters building, consisting of over 650,000 LED lights, provides creative, colorful videos during the nighttime hours. It is a public display of art for the entire community. Experience this vibrant national center for fiber art in Prospect Park! Join in its 25th anniversary celebrations by touring the center and exploring the galleries, artisan retail shop, library and dye lab. Try weaving and needle felting during this festive family day. TractorWorks’ brick and timber architecture tells the story of its heritage beginning in 1902 as the John Deere building designed by Cass Gilbert, the architect of the Minnesota State Capitol. Its contemporary interior features modern offices and artist spaces. Enjoy a walk around the building or brief guided tour to the rooftop deck. View these historic 1870s buildings before they get rehabilitated into affordable housing! Learn more about site’s history as part of historic Fort Snelling, and the process of saving and redeveloping historic properties. Explore this unique river navigation structure and get up close to St. Anthony Falls, including walking around the top of the highest lock on the Upper Mississippi River! Knowledgeable park rangers will be onsite to answer questions and guide tours. The lock wall is outside, so dress appropriately for the weather. This historic mansion built in 1893 is a beacon of old-world elegance and prosperity. Tour three levels of this castle-like estate built by George and Nancy Van Dusen to admire its Richardsonian Romanesque and French-Renaissance architecture, and discover how the original owners’ story ties into Minnesota history. Built in 1929, the Foshay Tower was the first to surpass the height of Minneapolis City Hall, and remained the tallest building in Minneapolis until the IDS Center opened in 1972. Visit the museum on the 29th floor and chat with staff to learn more about the building’s history. Hennepin County’s current Walker Library building opened in the heart of Uptown in 2014, with large street-level windows and a bright interior welcoming all. Inside, you’ll find a play-and-learn area for families, books and computers for all ages, public art to enjoy and space to work, read and relax. Stop by anytime during the weekend and pick up a “Perceive” card from the front desk to help you investigate artworks in the galleries. Or, join us at 1 pm for a free public tour leading you through the building’s architecture and a sneak peek into world-renowned architect Frank Gehry’s process. Explore this historic building now housing the Westin Hotel, built in 1941 during a modern phase of the Art Deco movement. Notable features include its bold relief sculptures framing the main entrance. Inside, you’ll find original bank safes, marble flooring and beautiful woodwork. Tour this historic church founded in 1857 and its gleaming, engaging and architecturally acclaimed expansion completed in 2018 and designed by James Dayton Design. On Saturday, guided tours will focus on the greening and sustainable features of the church. On Sunday, guided tours will focus on the interior galleries, architecture and event space. Tours may be limited due to worship services or sanctuary activities. Hundreds of Wing’s photos that span his 40-year career will be on display. Listen in as you view his work and learn about the many ways he has engaged thousands of strangers. His best-known projects transformed Twin Cities’ thoroughfares into six-mile galleries, reflecting the complex cultural realities of American society. Take a thrilling, unique tour of The Woman’s Club that blends architecture, history and community. The Clubhouse is a Minneapolis historic treasure that features a rooftop terrace, an elegant lounge and much more. Delve into The Club’s rich history of community outreach, female empowerment and unity. YouthLink’s unique collaborative service model brings together a variety of organizations and agencies that provide resources for young people experiencing homelessness. Tour the renovated Youth Opportunity Center and the adjacent lobby for Downtown View Apartments to get a glimpse of YouthLink’s programs and the complex’s design, construction and financing. Settled in the old manufacturing space of Ry-Krisp Crackers, Woodchuck USA is a buy-one, plant-one company focused on bringing people back to nature and quality back to products. Come take a step-by-step tour of this history-rich, innovative, and dynamic facility.